Environment Canada warns that freezing rain is in the forecast to begin near midnight Monday. Precipitation will begin as snow and will change briefly to ice pellets, with 2 to 4 cm accumulation, before changing to freezing rain overnight. 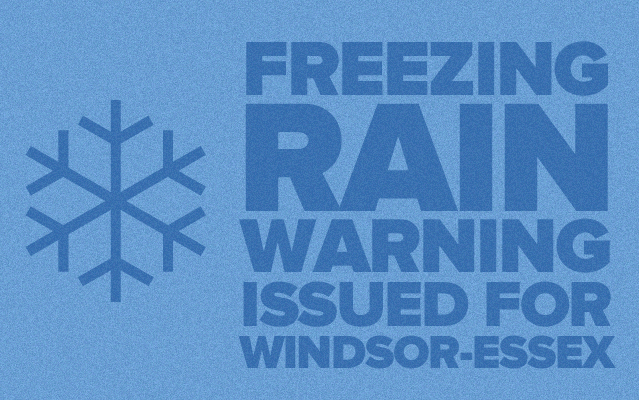 Freezing rain amounts could be significant with amounts of 5 to 15 mm possible. The freezing rain should transition to straight rain by noon on Tuesday.